How do I use the command line version of BitTorrent that I installed in Section 9? If you would like to learn more about any commands you can use the man program. This is how I deal with a minor Firefox annoyance. 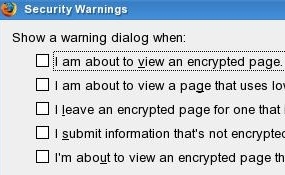 Firefox's default settings mean getting warned about almost every website you open or close. To stop these warnings you can do the following. In Firefox click Edit->Preferences. Then click the tab named Security. In the section named Warning Messages click Settings. Uncheck the warnings you don't want to be notified about. You can mount NTFS partitions by adding them to your fstab file or manually from the command line. I manually edited my fstab file to mount my NTFS partitions at every boot. I'd like to show you how I modified my fstab file to allow me to read and write to my NTFS partitions. The file named fstab is the configuration file containing information about your partitions. fstab is located in /etc. Below is my fstab file before modifications (click here to learn why the line for the /dev/cdrom is commented out). From the fstab file you can see I have one SATA drive with three partitions; swap, / and /home. Below is the screenshot after I modified it to mount my NTFS partitions. The first field is the device. Most devices are indicated by a file name (of a block special device), like /dev/sda1. In this example, /dev/sdb1 is the second hard drive on my PC. The second field indicates the mount point for the filesystem. The mount point is an existing directory on your disk. In this example it's the /mydocs directory. The third field lists the filesystem type. In this case the NTFS partition is indicated by the ntfs-3g driver. The fifth field is used for these filesystems by the dump command to determine which filesystems need to be dumped. If the fifth field is not present, a value of zero is returned and dump will assume that the filesystem does not need to be dumped. The sixth field is used by the fsck program to determine the order in which filesystem checks are done at reboot time. Of course, your device name and mount point may be different. We'll need to download a torrent to test the program. Once we confirm it works we'll quit BitTorrent right away. Using Firefox open your browser window to http://www.slackware.com/getslack/torrents.php. Because BitTorrent integrates with Firefox the download begins immediately. Press q to quit and close the BitTorrent window. Again, press q to stop the download. 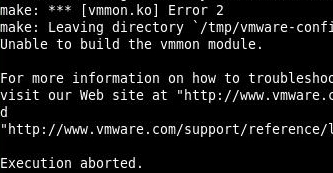 After VMware Server returns the error you're ready to install the patch. First, read about the patch here. The installer will ask you a lot of questions. 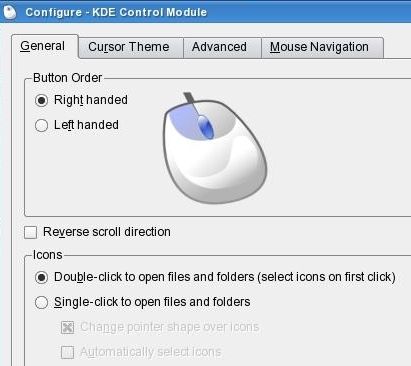 You can always accept the default values simply by hitting Enter. Slackware 13.1 is out with many improvements. If you could make a new guide that would be perfect and helpful for many people.